One of Rita Crundwell's registered quarter horse foals. As the Feds prepare to award the auction contract to the company that will sell Rita Crundwell’s quarter horses, two lien holders have put in claims for their interest to specific horses. Percott Company, LLC which does business as Meri-J Ranch states it has been “boarding, breeding, and otherwise caring for and providing services to certain Meri-J Ranch Horses” prior to Crundwell’s indictment. Bruce Lans, an agent for the company, states in a sworn statement to the court that he has been in charge of the day to day operations, books, contracts, and training of horses housed at the ranch for the past 11 years. The company claims it is owed more than $150,000, and that its costs are ongoing. It has submitted a list of 60 horses and requests that the court not allow the horses be forfeited until the debt is paid or requests the horses are sold and the funds be paid to Percott Company, LLC. The court has received another request from three Texas business owners regarding another 54 horses. Court documents state they have been boarding, providing vet, and veterinary reproductive care to Crundwell’s horses, although they haven’t been paid. They say the bill they’re holding totals more than $150,000. The judge granted the sale of Crundwell’s horses in June. The judge granted the motions to intervene from Percott Company, LLC and the Texas business owners, however it is not known how he will rule on their latest requests regarding the horses named in the documents. The U.S. Marshals Service was ordered to take over the care of Crundwell’s registered quarter horses on May 1, which included numerous mares in foal. 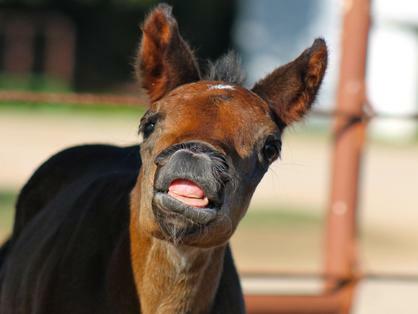 Since that time dozens of foals have been born. Six horses have also died according to U.S. Marshal spokesman Jason Wojdyo. A filly died on Crundwell’s Illinois farm under veterinary care a month later on June 4. A necropsy determined the cause of death was pneumonia. “Its lungs had minimal aeration, therefore, she could not get oxygen to her blood through her lungs.” A filly was found dead on June 20 on the same farm in the pasture. Hot weather and a heart murmur are believed to have caused the death, according to Wojdylo. The next day a recipient mare in foal was euthanized in Texas on the surgical table after it was determined she had a 360 degree large colon torsion. A 26 year-old mare was found dead in her stall on the Illinois farm on July 5. Wojdylo says she was ailing the night prior and was under veterinary care. She reportedly died of renal failure. A filly born with a genetic disorder that prevented it from standing on its back legs also died of renal failure on July 11. It was under veterinary care at the University of Wisconsin at Madison, School of Veterinary Medicine. Wojdylo says he does not have a current horse count, however he says the number is still believed to be over 400 head due to the new births. Crundwell, a leading AQHA breeder, was arrested in April. She worked as the comptroller for the City of Dixon and is accused of stealing more than $53 million over two decades. She pleaded not guilty to one count of wire fraud.